The technique of fluorescence in situ hybridization (FISH) has become central to many genetic studies. Improvements in sensitivity, coupled with developments in computer software and microscope technology, have enhanced its usefulness. The utility of the FISH approach is critically dependent on the supply of appropriate probes. This unit describes a variety of advanced preparative techniques designed to provide chromosomal fragments for further experimentation, which may include FISH but could also involve the cloning of the prepared fragments to create DNA libraries (not covered in this unit). The methods covered include flow cytometry of metaphase chromosomes (see Basic Protocol 1), chromosome microdissection (see Basic Protocol 2), and the degenerate oligonucleotide-primed polymerase chain reaction (DOP-PCR) amplification method for reverse chromosome painting (see Basic Protocol 3). The application of flow cytometry to chromosomal analysis has had a major impact on cytogenetics and cancer genetics. In particular, the ability to flow-sort individual chromosomes has played a major role in providing material suitable for whole-chromosome painting and the creation of chromosome-specific DNA libraries. An important advance has been the use of two fluorochromes instead of one, which provides a greater resolution of chromosomes that have a similar overall DNA content. The emission signals from these fluorochromes are plotted as a two-dimensional histogram, called a bivariate flow karyotype. The AT-specific dye Hoechst 33258 and the CG-specific dye chromomycin A3 are commonly used in bivariate flow karyotyping of human chromosomes. With these dyes, the position of the chromosome peaks in the resulting flow karyotype provides quantitative information on the relative chromosomal DNA content and base composition of the DNA. In this way most of the human chromosomes can be distinguished, except for chromosomes 9, 10, 11, and 12, which appear in one peak. Flow sorting of individual peaks can provide chromosomal material in a form suitable for construction of chromosome-specific libraries and paints, for gene mapping, and for ongoing analysis of karyotypic changes in tumors. Basic Protocol 1 describes isolation, staining, and flow sorting of human chromosomes using the dyes Hoechst 33258 and chromomycin A3. For information on preparing the cell sorter for this analysis, see Support Protocol 1. Microdissection is the process by which a specific region of a chromosome can be removed from the cell using microneedles specially designed for such microsurgery. The technique is attractive, as it enables the operator to access directly any small region of a chromosome and remove it from the cell. The fragment of chromosome can then be analyzed using a variety of molecular approaches. Early experiments using microdissection and microcloning were time-consuming and cumbersome, requiring more than 100 fragments to be microdissected per investigation with relatively few microclones being isolated. Nowadays microdissection and microcloning techniques can be applied to any source of chromosome; the chromosomes can be GTG-banded for accurate identification and the polymerase chain reaction (PCR) can be incorporated to minimize the number of chromosome fragments that need to be microdissected. Using PCR, 15 to 20 fragments are adequate for a typical experiment. 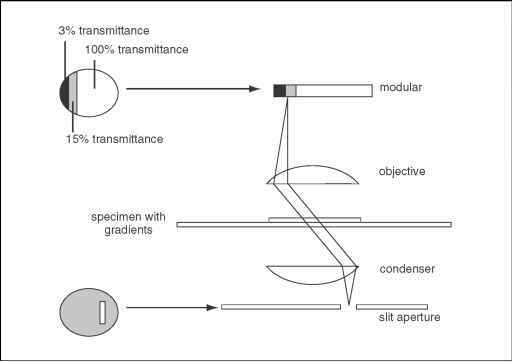 Basic Protocol 2 describes techniques for chromosome harvesting, banding, and microdissection; for preparation of the microneedles used in microdissection, see Support Protocol 2. Current Protocols in Cytometry (1998) 8.6.1-8.6.23 Copyright © 1998 by John Wiley & Sons, Inc.